Donna is a Doctor of Acupuncture and Oriental Medicine, and is a Board-Certified Diplomat in Acupuncture Orthopedics and Licensed in Acupuncture and Herbal Medicine. She has been practicing in the Burbank area since 2000. Prior to going into private practice, Dr. Dupre was a staff acupuncturist at St. Vincent’s Medical Center in Los Angeles, where she treated cancer patients in collaboration with staff oncologists and radiologists. Dr. Dupre continues to consult with respected researchers and practitioners in the fields of Eastern and Western medicine to make sure that her patients are always getting the most relevant and recent information pertaining to their conditions and overall wellness. She is passionate about her work and believes a good clinician is always a student. She continues to educate herself in order to provide the best care possible to her patients. Dr. Dupre graduated from SAMRA University in 2000 with a Master of Science in Oriental Medicine, completed a year of study in Acupuncture Orthopedics at Lerner Education and became board-certified in 2002, and earned her Doctorate in Acupuncture and Oriental Medicine at Emperor's College of Traditional Oriental Medicine in 2007. 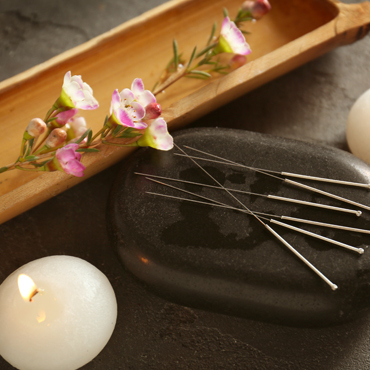 Dr. Donna is a caring, extremely knowledgeable acupuncturist who will cure what ails you. There is no one better in the valley or the Los Angeles area. I am so grateful for finding this gifted, kind and beautiful doctor. I look so forward to her tranquil environment and restoring my health!" I highly recommend Dr. Dupre, her bedside manner is excellent, there is no waiting for hours to get treated, the Accupuncture treatments are awesome and in some cases she even takes insurance! I started seeing Donna in 2008. She is warm and professional and I always leave her office feeling relaxed and refreshed. I refer all my friends to her. Dr. Donna is super awesome..she takes a lot of time to listen to what is wrong and I always walk out of there feeling better. I have been a patient of Dr. Dupre for more than five years...She gets excellent results...Highly recommended.